Colombia’s Bogota Bulldogs have used Christmas Day wisely to announce another huge initiative in South American footy. 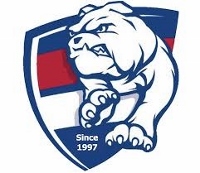 Their gift is the announcement of the inaugural battle of the Bulldogs when the USAFL’s Denver Bulldogs from Colorado will travel to Bogota next year. 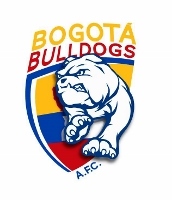 The scheduled match on May 18th will see the Bogota Bulldogs host the Denver Bulldogs in a genuine battle of the Americas. The Bogota team, and the greater Colombia AFL, have grown quickly over the past couple of years from a “kick in the park” entity to a three team national Colombian competition that is now attracting international teams. The match will feature a full size competition – 18 per team – in an event that is quoted as a game that “will raise the quality of South American footy forever”. This isn’t the first international match for the Bogota Bulldogs – nor, for that matter the Denver Bulldogs. The Bogota team plays the Santiago Saints from Chile in the “Andes Cup”, which to date has been the only opportunity for the Colombian national team to play another nation. The move to invite Denver down to Colombia opens the door to regular competition with their fellow Bulldogs for years to come, but also provides an incentive for teams from other nations to plan a trip south – or potentially host the Bogota team at some point. Plans for the day are yet to be finalised beyond the marquee match, but there is opportunity for additional men’s and women’s matches to be played as curtain-raisers to the main event. It is a wonderful Christmas present for Colombian footy, and the growth of the game internationally. It is also a great gift for the Denver footy community as a major part of their build towards next year’s USAFL Nationals to be played in Sarasota-Bradenton in Florida. It is sure to be a fascinating dogfight of epic international proportions.